After three seasons of enticing viewers with tantalizing questions about the nature of domes, the origin of domes, what’s going on outside of domes, and the metaphorical domes that we seal ourselves in, CBS has decided to cancel the Stephen King adaptation Under The Dome. This comes from Deadline, which notes that Under The Dome’s ratings have been steadily going down ever since its much-hyped premiere in June of 2013. The show still did well internationally and through streaming on Amazon Prime, but it sounds like CBS is just trying to make room for another season of Extant, its new summer drama Zoo, and next year’s new drama BrainDead. 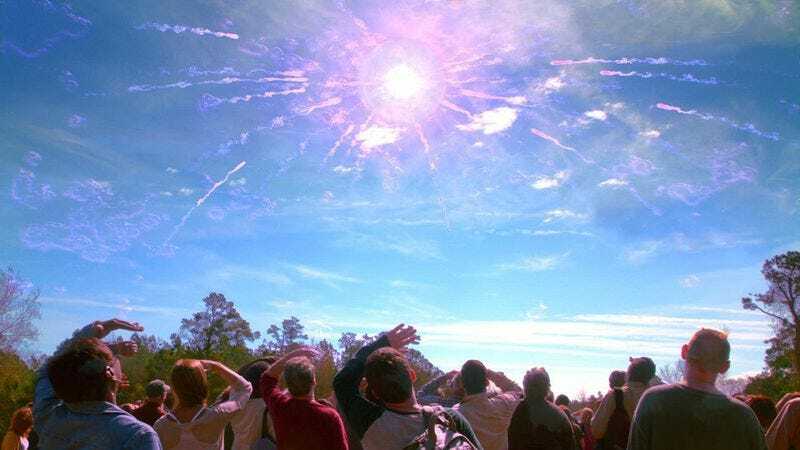 This will make the September 10 episode of Under The Dome the series finale, but the episode is actually going to try and wrap up some lingering storylines. According to an official synopsis from CBS, the dome will come down and “many questions about its origin and power will be answered, as two groups of residents engage in one final conflict that some won’t survive.” Unfortunately, no matter who survives the finale, nobody will survive the cancelation.